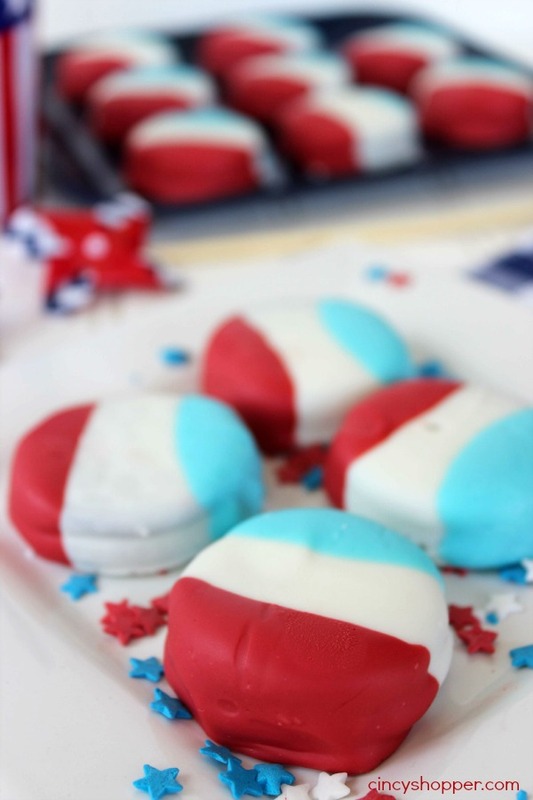 Taking a store bought cookie and dressing it up with some colors always works wonders. Have you checked the price of bakery cookies lately? Bakery items pricing is through the roof. 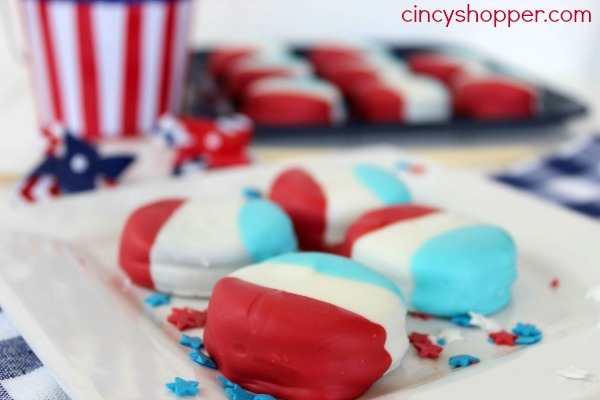 The kids considered tossing on some start sprinkles but I think they are perfect with just the red white and blue colors. 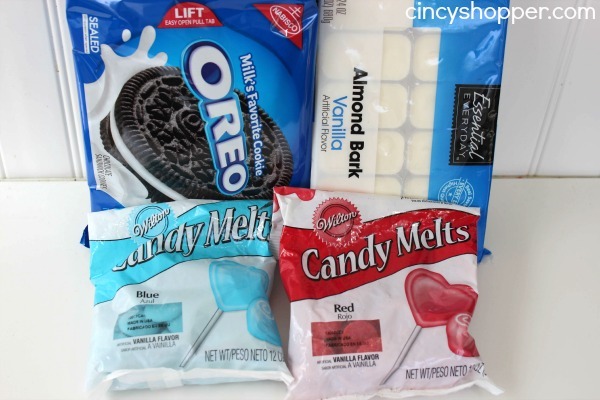 I dropped in Remke and picked up some white melting chocolate as I knew I had some left over red and blue chocolates and a package of Oreo Cookies to have the kiddos whip up some Patriotic Cookies to have for dessert. I liked that we could prepare them ahead of time. 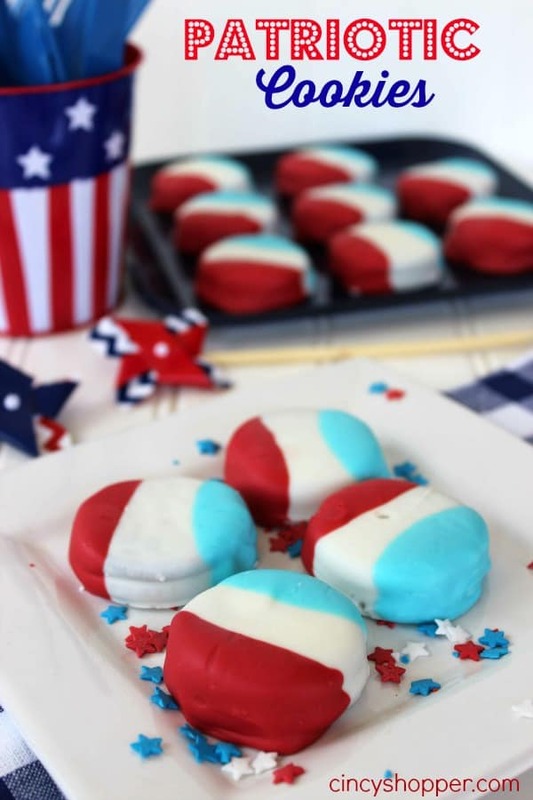 Melt white candy by heating in microwave for 30 seconds, then stirring and repeating until melted and smooth. Dip each cookie in white chocolate and flip to coat. Remove from chocolate allowing excess to drip off and place on lined sheet. Allow to set for 15 minutes. You can take a knife and shave any excess off of cookies to keep nice shape. 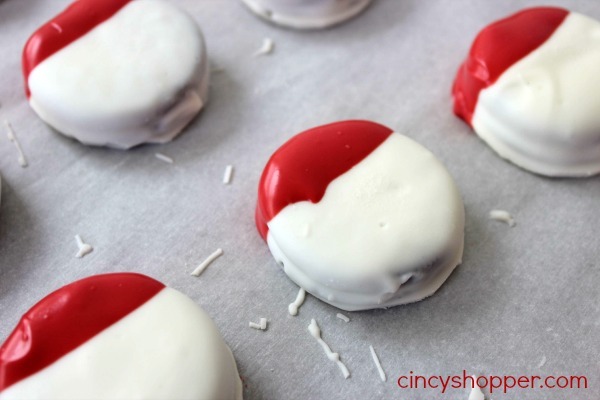 Melt red candy by heating in microwave for 30 seconds, then stirring and repeating until melted and smooth. Dip each cookie in red chocolate to coat one end. Allow excess to drip off and place back on lined sheet. Melt blue candy by heating in microwave for 30 seconds, then stirring and repeating until melted and smooth. 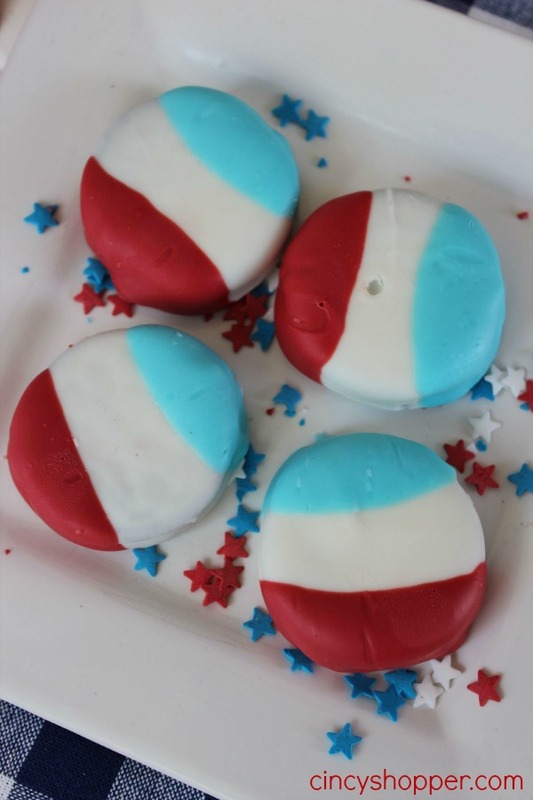 Dip each cookie in blue chocolate to coat opposite end. Allow excess to drip off and place back on lined sheet.